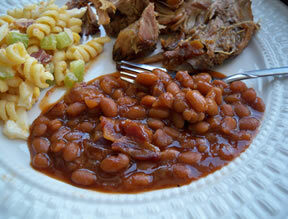 Barbecued beans with just the right touch of sweetness. 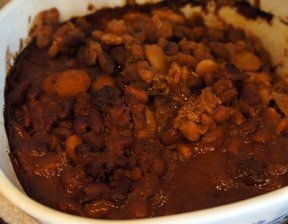 These baked beans are simple to throw together and make a prefect side dish to grilled steaks, grilled chops, pulled pork or beef sandwiches and most any type of burger. 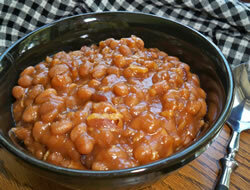 Pour into a baking dish and bake 1 hour at 350 degrees F.
"Great tasting baked beans and pretty simple to make. Next time we will bake them longer to try to get rid of some of juice. They were just a little runnier than we like but not bad. We will definitely make them again."